“Pitfalls for ALL S.T.E.M. Professionals in a New Era of U.S.-China Relations” were discussed at the University of Minnesota’s McNamara Alumni Center last Thursday, April 4. 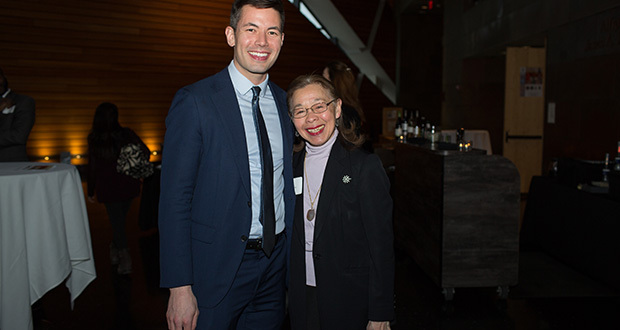 Minneapolis attorney Ben Kwan helped organize the program with a diversity programming grant from the Federal Bar Association. The aim was to educate the local science, technology, engineering and math workforce—many of whom are Asian Americans and immigrants—about two competing forces in today’s U.S.-China legal landscape: the rise of economic espionage and I.P. theft on the one hand, and on the other, fears of racial profiling in the Asian American community. With the grant, organizers hosted the Department of Justice’s top-cop for such enforcement issues from Washington, D.C., along with two nationally-recognized attorneys who have defended high-profile Chinese-American S.T.E.M. workers in dubious prosecutions. The program, attended by more than 200, was part of a larger effort by the Minnesota F.B.A. to reach out and provide community education on important legal topics, especially diverse communities.